At the 15th Assembly in 2018 the UCA affirmed the sovereignty of First Peoples as described in our Preamble to the UCA Constitution and in the Statement from the Heart. 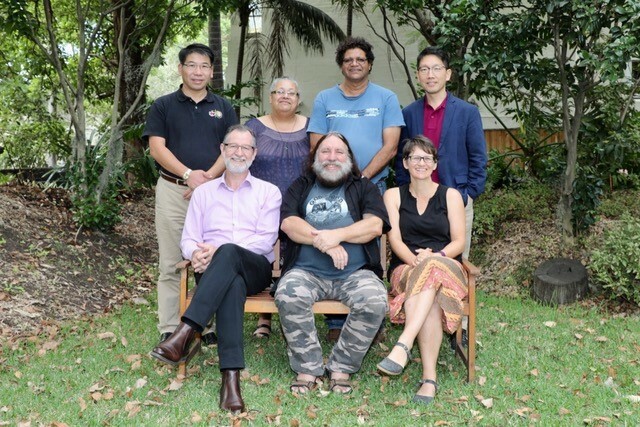 The Assembly Standing Committee (ASC) has established a Task Group to look at the practical implications for the Church flowing from this decision. We met for the first time in late March and shared deeply and widely about where we have come from and our commitment to walk together as First Peoples and Second Peoples from many lands. This amazing group of people has been gathered into a community of faith. We recognised the significance of affirming sovereignty and the importance of the covenant relationship in helping the whole church respond. This includes in our formation as disciples, ministers and lay leaders, in our congregations, presbyteries, synods, schools and agencies and in our advocacy to our governments. We are excited and hopeful about this opportunity to resource the whole church to deeply engage in the covenant relationship between UAICC and UCA. A full report of our time together will be presented to the National Executive of UAICC in May and we look forward to hearing their dreams and visions for what this means for our church and our nation. We also regularly report to ASC. And we invite you on this malaga (journey) – buna limurr dharrwuṯthun rrambaŋi (come, we will walk together purposefully). Have a look at our terms of reference and supporting documents, the Revised Preamble and Statement from the Heart here. If you have stories or ideas that express what it means to affirm the Sovereignty of First Peoples please email Stuart McMillan.